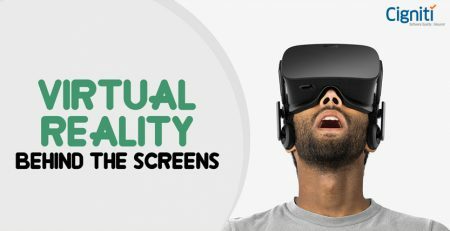 Technology is all about anticipating the needs of the consumer and proactively getting geared up for the next move. A smartphone is smart, as it has applications that can outsmart the user and offer a rewarding experience. The device is fully prepared to align with the routine requirements of the user and get in sync without causing any chaos. Digital Technologies have transformed the way smartphones interact and connect with the users. While it’s happening, there is a growing need to ensure performance and security of these technologies. This has amplified the importance of Digital Test Assurance for enterprises to stay prepared. Digital Technologies such as electronic tools, devices, social media, online applications, and multimedia have been essentially making this possible. Digital Transformation with digital technologies is disruptive and is bound to expose applications to risks across the web. This phenomenon is generally referred to as Digital disruption. Is it necessary? Absolutely! This is because businesses need to engage digitally to adapt to the transforming landscape to achieve sustained growth. A recent Harvard Business Review Analytics Services study states that 84% of 783 respondents believed that their industry had already passed the ‘digital disruption’ tipping point or will pass it by 2020. Interestingly, almost half of the respondents believe that their organization’s traditional business model will be obsolete by 2020. Consequently, enterprises of all shapes and sizes are inclining towards Digital Testing to attain digital maturity. The underlying purpose is to revolutionize processes, get agile and responsive, and ultimately attract and engage customers in the digital sphere. A digital testing framework and approach essentially accelerates time to market with cost-effective testing solutions. Testing ensures improved customer experience in the digital sphere. 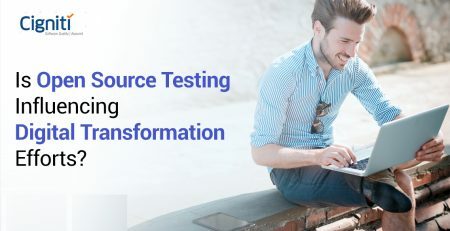 Digital Testing will adopt everything and anything to make testing much more efficient – Automating tests, Shift-left / Shift-right approach, Agile, DevOps and much more. Digital Test Assurance brings in Quality Assurance to address the multiple needs of digital testing. It involves comprehensive testing across the digital value chain and the digital ecosystem. The Digital Assurance framework involves domain expertise, and value-added elements such as reusable test assets, testing tools, and accelerators. Digital Assurance is more and more critical today, as businesses need to ensure that their applications and platforms are offering the right kind of experience for the customers. There is a constant requirement to bring websites and applications faster to the market. Competition is getting intense and even a minor glitch can disrupt the reputation of the brand in the marketplace. It can cost an organization serious loss of reputation and require further expenditure to regain the market position. Worldwide popularity of digital technologies such as social, mobile, analytics, cloud, IoT are inducing enterprises to consider various approaches for software testing. There is endless pressure on the testers and developers to adapt effective mechanisms for testing and considering robust approaches to pace up the development process. 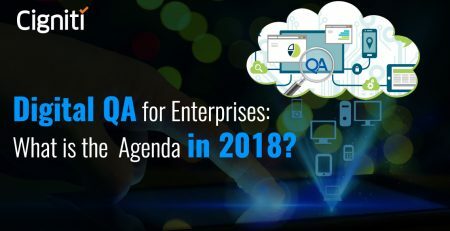 While we understand the urgency of QA in the Digital world, let’s specifically understand the top 5 reasons that make Digital Test Assurance indispensable for enterprises. Today Software Testing has to align with the business strategy to bring about competence. When the right framework and testing strategy is implemented, it results in better and faster development and reduces time to market. The testing strategy, choice of tools and framework has to be aligned with the business objectives to streamline the overall efforts. When applications are tested effectively, they are made strong to face the dynamics of the market. This makes them market-ready and resilient against any possible threats. Digital Assurance ensures a strategic approach for testing applications and making them compatible for the market. Enhanced customer experience is at the core of every Digital Transformation initiative. Technology is a catalyst for change, where the final destination is customer and end user experience. For instance, the Net Promoter Score (NPS) is an index that ranges from 100 to 100 and measures the inclination of the end user to recommend a brand or a company or a service. In a way, it is considered for gauging the customer’s overall satisfaction. NPS is also considered to gauge the download rate/popularity of the applications. Further analysis helps in understanding the concern and engage the user for feedback. Digital Assurance and testing helps in ensuring that the feedback is brought into action. The customer is heard and the application matures with feedback. Testing digital technologies cannot take the conventional route of testing. It has to be experimental and has to explore various new platforms to make the application market-ready. The best testing ideas and approaches need to be tried and actually implemented. Digital Assurance enables enterprises to adopt some path-breaking practices within the veins of the system. Predictive Application Quality – This involves extrapolating data from the application to predict possible defects or delays in the future. Test Automation – While testing digital technologies, the testing process has to be recurring and repetitive. Test Automation and testing way ahead in the test cycle is an important approach to consider. This closely connects Digital Assurance with the core development activity. DevTestOps – DevOps bring Operations and Development together and makes testing more collaborative. QA plays a critical role in DevOps, as the testing process gets continuous. DevOps approach is very much necessary for Digital Assurance and Testing. Digital Assurance and Testing involves practices that bring together various approaches and practices on a single platform. It also encourages collaborative approaches that bring various functions together and operate effectively. The core idea here is to ensure quality across the overall software/application development cycle. This underlying objective of collaboration is necessary to ensure that every function takes the responsibility to deliver quality software. Eventually, it helps to build robust applications and ensure better sustainability in the market. This further helps in getting the applications faster to the market and ensure quality. An organization needs to conceptually gear up to become digitally active. Digital Transformation involves making changes to the legacy system and processes. Digital Assurance helps businesses to seamlessly go through this transition and adapt to the new processes. In a way, enabling enterprises to get more relevant for the present-day requirements. A business or organization can stay competitive only when new practices and technologies are leveraged. Technology platforms are increasingly getting obsolete and there is a constant need to reinvent. There is a serious requirement for collaboration, communication, integration, and automation to derive tangible outcome from testing efforts. In such a scenario, Digital Transformation can be considered as a catalyst, and Digital Assurance is the way to achieve the objective of transforming into a digital enterprise. Cigniti’s Digital assurance & testing solutions address the various needs of digital transformation testing. Connect with us to build a transform your business and digitally engage with your customers.